Skyler and Steve talk of their appearance on The Crossfader Show, Steve getting back into standup comedy recently, and Skyler's dilemma as to whether or not he's going to screw with an internet scammer and record it. 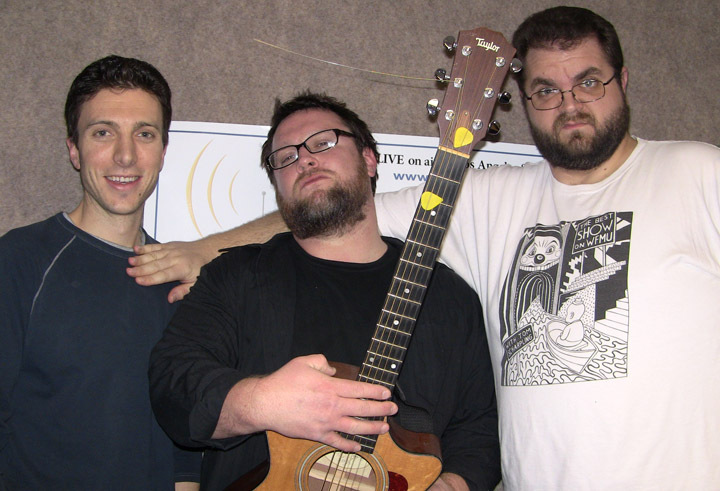 Eli Braden joins the guys in the studio to sing songs, take calls about his music, and make merriment. Songs we heard: Fat Girls, White People Problems, Ed Hardy Shirts, and Adult Diapers. Eli is put in a special Pressure Cooker that requires him to sing his answers. Does he survive?